Mary Frances (Tilley) Greene, 99, residing at the Rouse Home, Youngsville, PA, rode her last rodeo on August 24, 2018 at 1:20am into heaven to be reunited with her Tilley family and hopefully with that handsome cowboy of her dreams. Frances was born June 3, 1919 in North Little Rock, AR, a daughter to the late, William and Lillie (Carinders) Tilley. She attended school until the 8th grade, quitting to work in the cotton fields to help support her family during the depression. 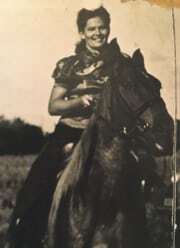 While in her twenties, Frances rode in the rodeo circuits in the south. In 1955 she married her second husband, Eddie Greene. In the 70’s she worked at the Youngsville High School. In the 80’s she worked at the New Process Company. Always a fan of the Arkansas Razorbacks and the Pittsburgh Steelers, her player number 36 Bettis. Frances was a great southern cook, loved to sew and crochet. She enjoyed a large bowl of watermelon, listening to Dean Martin sing. Frances had a great sense of humor, also enjoyed wellmade Tom Collins. She also loved playing Bingo at the Rouse Home. Frances is survived by 2 daughters, Kathryn (Ron) Hodge of Youngsville, PA and Nancy (Donald) Marshall of Cape Girardeau, MO; her grandchildren, Al (Rachael) Hodge of Youngsville, PA, Kevin (Stacey) Marshall of Jackson, MO, Craig (Becky) Marshall of Cape Girardeau, MO 5 greatgrandchildren, Shiann Hodge, Marie Marshall, Harrison Marshall, Brandon Marshall and Julia Marshall; 8 of the Peightal nieces and nephews and her grand dogs, Buddie and Molly Crumb. 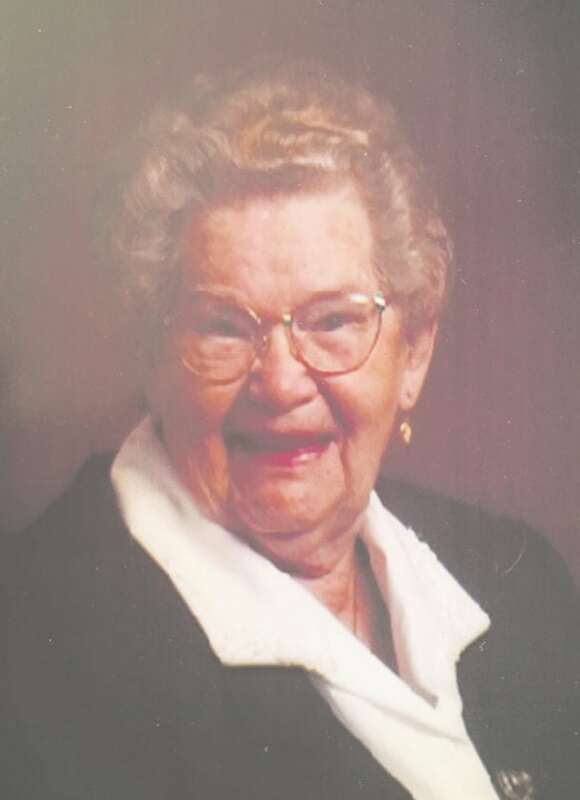 In addition to her parents, Frances was preceded in death by her former husband, Walter Yarbrough and her second husband, Eddie Greene in 2001, her siblings, Alta Miller, Mae Blasingame, Fred Tilley, Polly Peightal, Juanita Tilley, Louie Tilley, a grandson, Robert (Sherry) Marshall, 4 nephews, Lou Peightal, Frank Blasingame, William Blasingame and Sonny Blasingame. Burial and a celebration of life will be held at a later date. Frances wishes for memorial donations to be made to the Activities Fund at the Rouse Home, 701 Rouse Avenue, Youngsville, PA 16371. Frances and her family loved the staff at the Rouse Home and very much appreciate the great care she received from them. God Bless you all. The Nelson Funeral Home and Cremation Services have been entrusted with all arrangements. Condolences to the family may be made at www.nelson funeralhome.net.